Two Days . . .
Clyde E. Drury, Jr. passed away at the age of 85 on July 31, 2015, the Thirty-first of July; a Friday. Clyde E. Drury, Jr. He edited and introduced the standard annotated edition of The Autobiography of Dr. James Alexander Henshall. Henshall in ways lasting brought the black basses of North America to codified attention. He was a nineteenth century angling author. 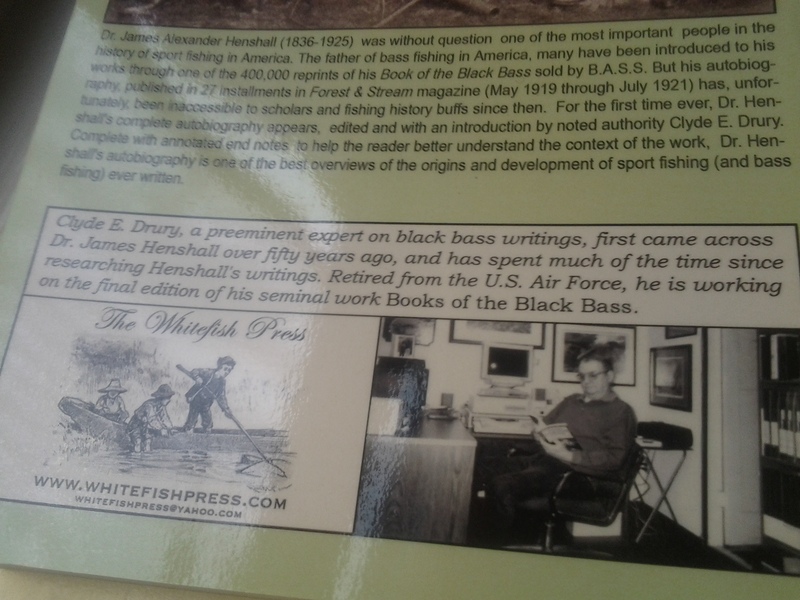 Clyde devoted a facet of his long life of service to books of the black bass. 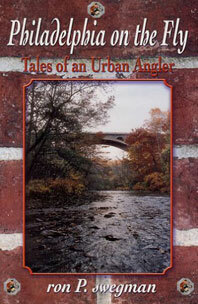 His work reached my attention a decade ago as the smallmouth and largemouth bass receive a major role as characters in my two collections of stories. Stories, in part, of the black bass. His mind was open to my work’s inclusion into his open-ended online bibliography. I consider that a high achievement in my life, as satisfying as knowing my name is included on a CD-ROM affixed to the New Horizons spacecraft that flew by Pluto and Charon in early July. Clyde, who served in the United States Air Force for some two decades, lived to appreciate American aerospace ability completing a survey of the entire Solar System. He witnessed all of the essential moments leading to the Moon and from the Sun itself passed Mercury, Venus, and comets, Mars, and the asteroid Ceres, Jupiter, Saturn, Uranus, Neptune, all of the way on to Pluto and its moons orbiting at the far edge of the planetary property. That thought celebrates life and encourages happiness beyond the loss of a friend. His span of years marked by service and generosity reached and sustained me for years. When I contacted him first by email, Mr. Drury was kind enough to include my project within his authoritative online bibliography of black bass books. 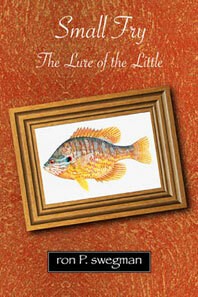 Our mutual affection for the black bass in part brought Small Fry: The Lure of the Little into print in 2009. Our interaction became a friendship, a conversation, a seed sprouted into occasional notes, Holiday Greetings, and mutual appreciation. A forthcoming print edition of Clyde E. Drury’s collected Books of the Black Bass may be a book written, compiled, conducted in an ongoing manner, composed of a planet of authorial voices. My own was one shared with him through his gifts of direction as well as a bibliography to keep my life busy until I myself am 85, even beyond, maybe. The First of August, a Saturday, the day after Clyde E. Drury, Jr. passed, marked an anniversary milestone having been reached. 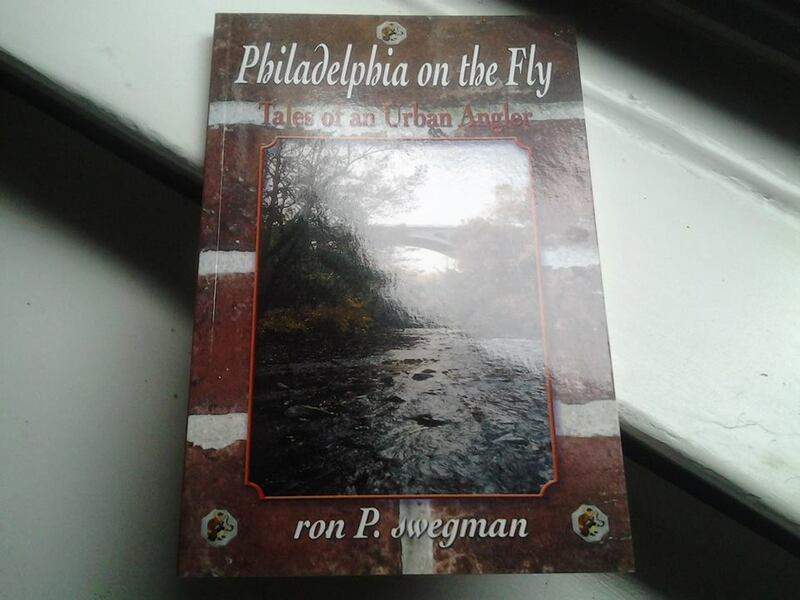 My first book, Philadelphia on the Fly: Tales of an Urban Angler entered the “Published” category on that date a decade ago and the title remains so. Websites online list the official publication date as August 1, 2005. Ten years is often quoted as span of time required to integrate mastery of a subject, a sport, a discipline. Perhaps the tenkara rod in my hand is a kind of baton. I shall honor the angling and writing craft, as did Clyde, and keep the illustrated angling book a living, growing body of Literature with a capital L.
The tenkara rod: this tool, this baton, like a pencil to paper. When put to water one encounters pools of stories to be pulled from the clarity. Lines are necessary. 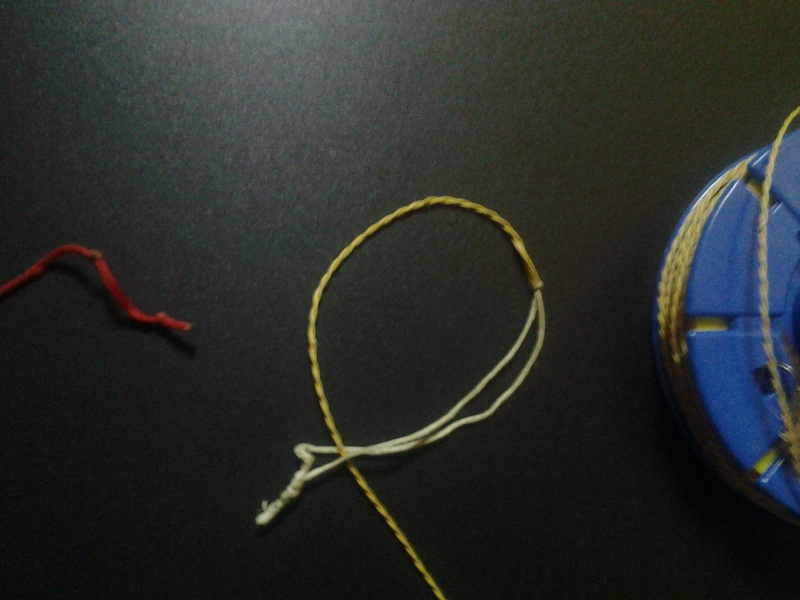 Body and mind, combined in tenkara’s case, serve as the real reel. My mountain bike, back cover star of the first edition of Philadelphia on the Fly, still in service ten years later, carries me to the water unless a Manhattan subway shoulders some of the commute, or on a day like today, after writing in rumination, I get up, get shoes on, and go off, running . . .
. . . On The Fly. The Girth Hitch . . . When Is A Knot Not? When is a knot not? The knot of and in itself, an infinite loop object, that meets the immovable object. The Lillian end, the knotted silk tip of a tenkara rod, offers its utility of simplicity to the loop as one meets the other in an essential equally blended architecture. The Girth Hitch; this one gives traditional tapered line, with its silken loop and double helix weave, an impressive connection to a tenkara rod’s tip. The head yank of the trout and the pounce of the bass all require secure connection: The Girth Hitch. Father and son were entertained. The flybox was clipped closed. The son hugged snook and raised up his free thumb. Thumbs up. “Small Fry” . 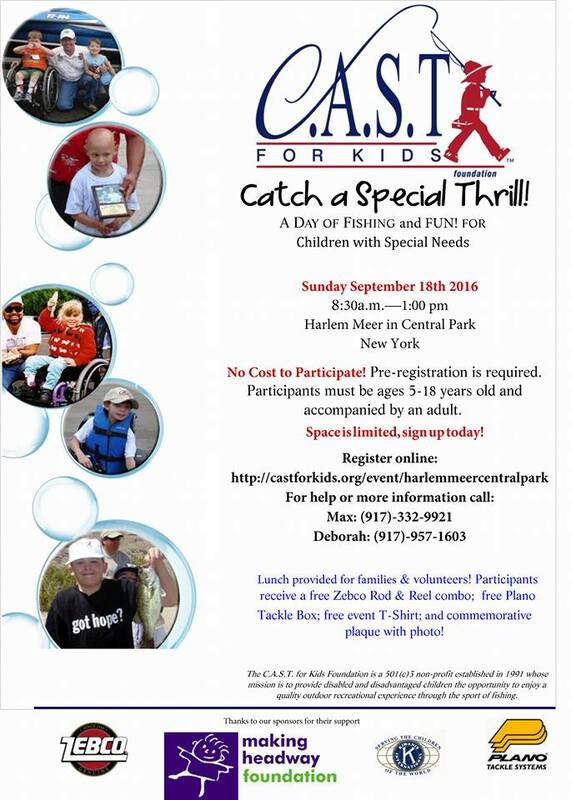 . .
Gone Fishing, Gift Giving . . . The deciduous trees are mostly bare now. Gingko and Norway Maple gold covers the hillside grounds and park places as the oaks alone hold onto rustling brown leaves. Cross country runs and hikes to and from local fishing spots have been giving gifts of time and rhythm to compose creative words. Readers in return give incentive to render experience in words, although the act of writing can be an addicting pleasure in itself. I do have a few stores with a tenkara theme in the works. Progress continues as well on Little Hills: a novel. Special times pass when the flow is brisk and clear, when writing about fishing can be as fun as a good day along the water. 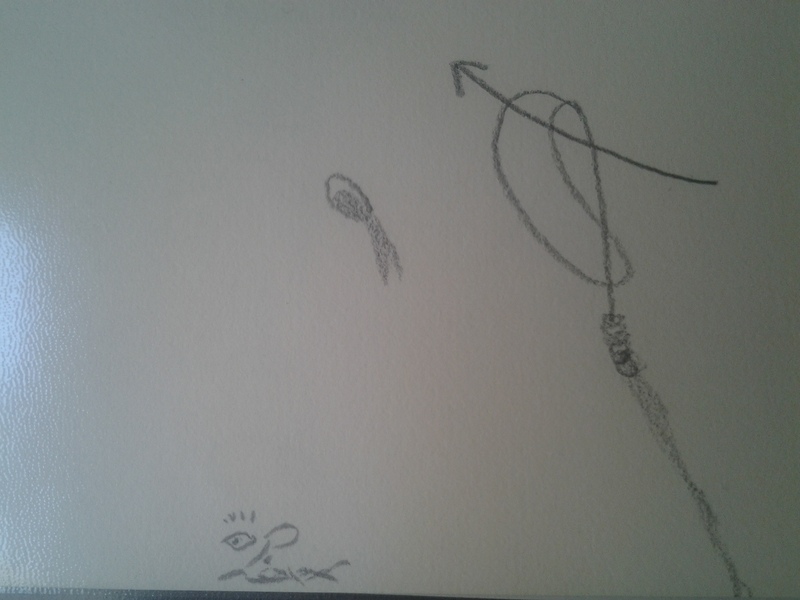 Yes, even when one is not casting a fly pattern to fish, one can be “Gone Fishing” in the broader sense. (Nearly) Ten Years Later . . .